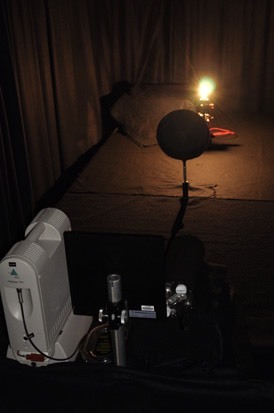 Dark room for radiometric calibration and characterisation of field instruments. Measurement consistency is especially important to the quality of satellite sensor validation. 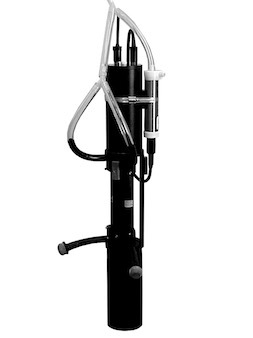 The RSSRG calibration facility allows optical instruments to be calibrated against a National Institute of Standards and Technology (NIST) source. Black matte curtains and coverings. Please contact us for further information about the use of this facility. 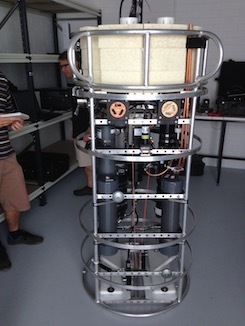 A unique set of optical and oceanographic equipment has been put together onto a profiling platform, as shown of the left here. Image on the left: A WET Labs AC-S. © SeaBird WET Labs Inc. When it comes to processing large quantities of satellite remote sensing observations, or modelling radiative transfer in the ocean-atmosphere system, appropriately-sized computing resources become of prime importance. RSSRG has some in-house servers that are used for developing and testing codes. 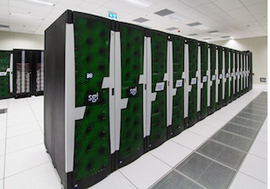 However, we move to using the resources provided by the Pawsey Supercomputing Centre when mass calculations are at play. Access to the “Australia Copernicus Data Hub"
the Australian Government has an agreement with the European Commission (EC), signed by Geosciences Australia (GA) on hosting the “Collaborative Ground Segment” for the Sentinel system, under the Copernicus EU programme. This agreement gives us access to the global data base of observations from these new missions (see here). This data set is now at our doorstep and we can leverage on this unique resource to develop our activity.